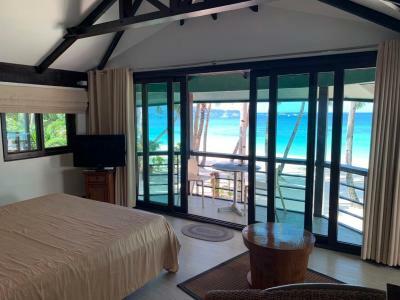 Lock in a great price for Boracay Beach Houses – rated 8.9 by recent guests! The quality of the house is outstanding. 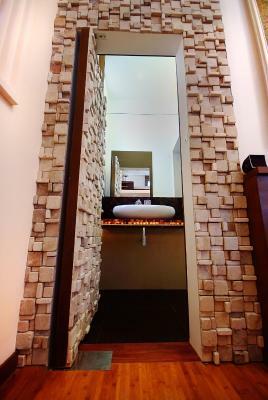 The location is perfect if you want to relax very quiet and out of station 2. The hot tub was amazing! View was great and room was very clean, made up with fresh towels everyday. It was really nice that it was beachfront and the beach is not crowded at all compared to Station 1 and 2. Staff was also helpful. Everything was great! 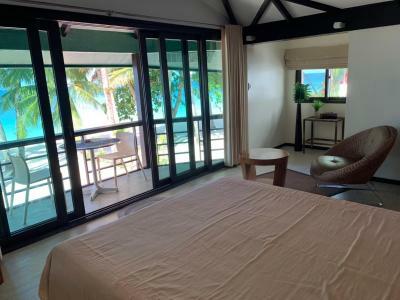 The views were incredible, staff were very nice and accommodating, and everything in the room (especially the size) exceeded our expectations. 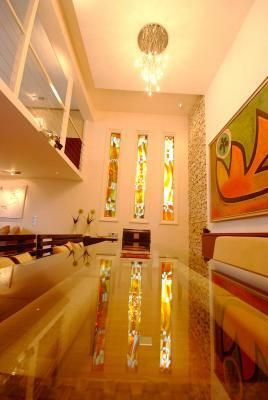 The place is either new or just undergone renovation so it is sparkly clean and has the new house feel and look. The location is very good away from the hustle and bustle of Stations 1-2. The view from the balcony towards sunset is fantastic. The breakfast is simple but very good and you get to have it on the beach. 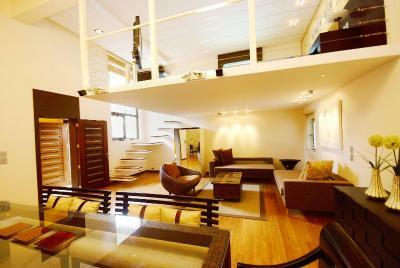 If you need a quiet place in boracay, this is the place, located at station 3 which is away from the crowded station 2. Jolliver/wavesong unit was unit was very nice with two bedroom/bath with high quality fixtures. The unit was only few meters from the shoreline. The unit was very nice, and once in a while tourist will stop and take selfie shot of the place. 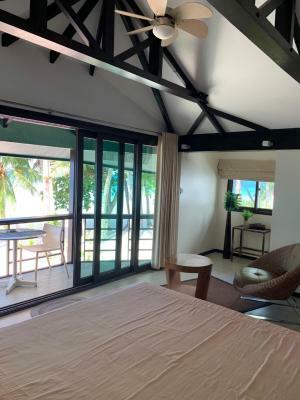 Thanks to the staff ( Andy, Raffy and Hazel ) which make our stay in Boracay Beach Houses very memorable, they are very friendly and accomodating. I will definitely come back to this place. The location was BEYOND amazing! Waking up to that view every morning, and having that sunset at your doorstep every evening was a dream. The staff were all very friendly and always very attentive. Best place to stay at station 3 location. Absolutely amazing view ! Best deal for staying on the beach. Amazing location! Breakfast on the beach each morning was a lovely way to start the day. Far enough away from the hustle and bustle of Boracay but easy, short walk to where all the action is. Friendly staff, secure premises. Beautiful spot on the beach- waking up to that view has been a highlight of my trip. The location was perfect for us. It's right at the end of Station 3 away from the crowds. 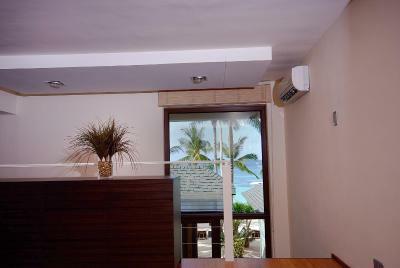 Great location with an incredible sea view, and direct access to the beach. Decent WiFi connection, nice staff, comfortable bed and nice room. 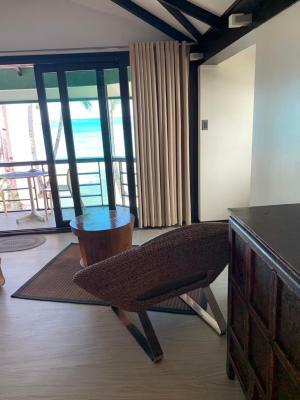 Boracay Beach Houses This rating is a reflection of how the property compares to the industry standard when it comes to price, facilities and services available. It's based on a self-evaluation by the property. Use this rating to help choose your stay! 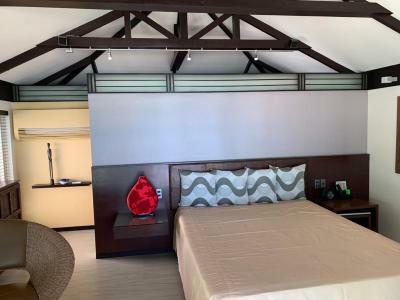 Located along the shores of Boracay's Station 3, Boracay Beach Houses offers peaceful and comfortable accommodations with free WiFi access throughout the property. It features a garden and provides daily housekeeping service. 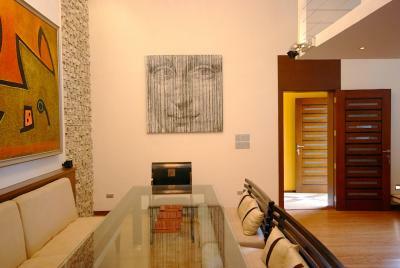 The property is just a 7-minute walk from the famous D'Mall and a 5-minute drive from Cagban Port. Caticlan Jetty Port is accessible within a 15-minute boat ride from Cagban Port, while Kalibo International Airport is a 2-hour drive away. Tastefully-furnished, air-conditioned rooms come with wooden flooring, a wardrobe, a fridge and a flat-screen cable TV with DVD player. 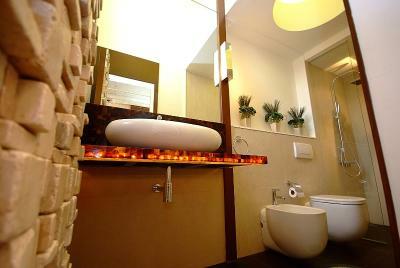 The private bathroom includes shower facility and hairdryer. 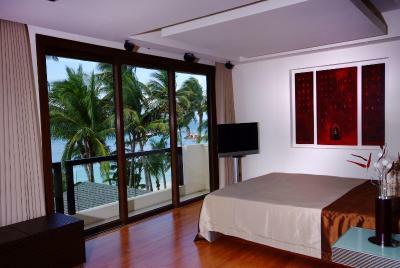 At Boracay Beach Houses, the friendly staff is fluently-conversed in Filipino and English. This nonsmoking property also provides barbecue facilities. 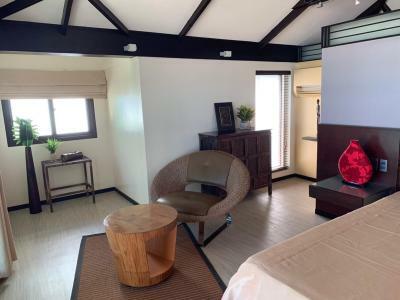 Guests enjoy complimentary access to the fitness center located at Boracay Suites, just 650 feet from the property. 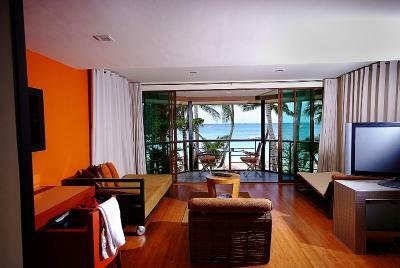 When would you like to stay at Boracay Beach Houses? 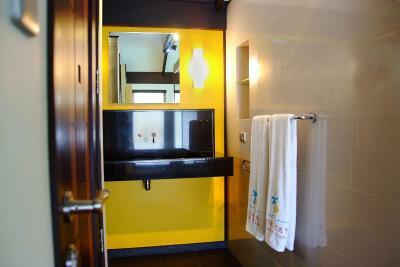 This double room has a iPod dock, air conditioning and private entrance. This quadruple room has a iPod dock, DVD player and dining area. This double room has air conditioning and iPod dock. 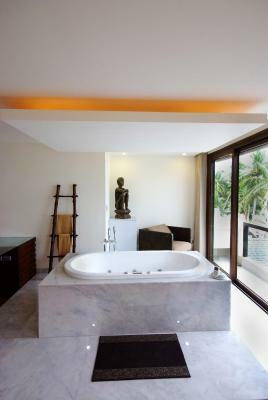 Guests can enjoy magnificent views from the bathtub. 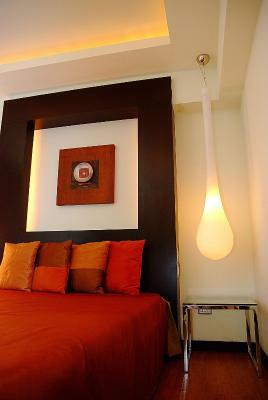 House Rules Boracay Beach Houses takes special requests – add in the next step! The mattress was a bit thin. There were no racks for drying the wet towels and swimming suits. Having this small thing would make the stay simply exceptional😉. It’s a bit of a walk from the accommodation to the main food and entertainment area in Station 2, which would take about 20-25mins to walk to. 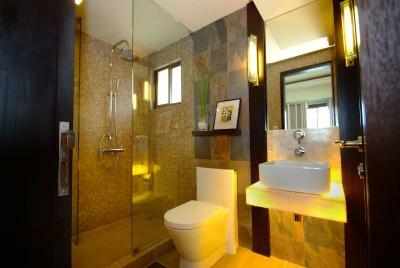 And also the lighting and size of the front bathroom. Did not manage to work the jacuzzi function in hot tub. Breakfast got a little monotonous after awhile. But overall loved the place! No orange juice for breakfast. Nothing. Everyone is looking for something different. 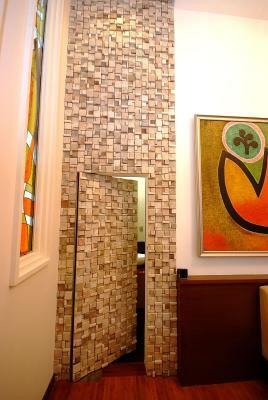 If you want a catered hotel, go elsewhere, if you want a B&B/homely feel, this is your place. LOCATION: The location if excellent. Station 3 is quieter than Station 2 and cheaper/more.... chilled out, than Station 1, so you feel a little out of the way of all the madness. It's getting busier each year tho (3rd time in Boracay). The apartments are off the main beachfront walk so you have to walk along the beach/sand to get to it, adding to the 'out of the way' feeling. If you struggle to walk or need assistance, not to worry as there's a shortcut through the back of the building you can take to walk up to the main road where you can grab a tuk tuk or have a tuk tuk meet you. I would say to organise a tuk tuk ride around the island which will take approx 2 hrs and should cost around 500 per/hr. Snorkelling out on White Beach isn't great, most of the reef has been destroyed but there's still life. You should check out Tambisaan Beach if you're looking for sealife. 50mtrs out but be careful and only go if you're a good swimmer. APARTMENT: There's nothing to dislike. 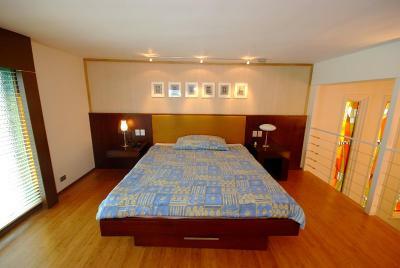 We stayed in Asiana (2 adults), and had plenty of space. One of us in the double bed and other in the smaller bed/sofa. Both comfy. 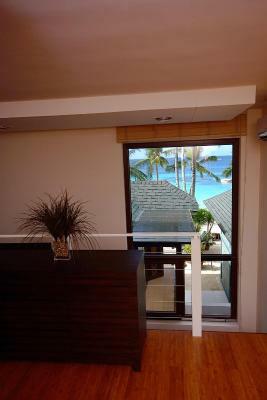 The sliding doors allow for a spectacular view of the sea and perfect for sunsets on the balcony with some wine. Great storage, shower etc. Hairdryer on offer, lots of plugs, TV, kettle, fridge.... fab. It's nicer than some of my past apartments ha ha. 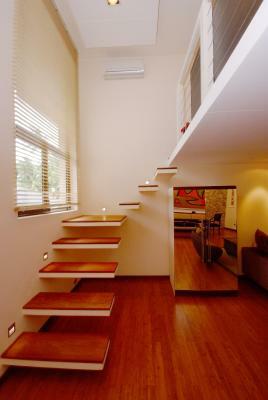 The room is accessed via a small staircase at the side of the building so it's separate from the others. 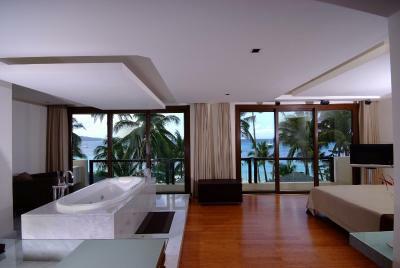 Being one floor up gives you a little more privacy too, as the bottom floors are easier looked in to from beach level. STAFF: They are interested enough to make you feel like you're on holiday but leave you alone to make it feel like an apartment rather than being catered to 24/7. The bathrrom was pretty dark and if you are picky with your breakfast, go somewhere else. The one at the hotel is very basic. This is the one of the best hotel at Boracay just located near the beach. 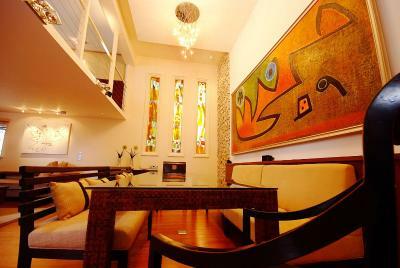 Do not hesitate to book this hotel, comfortable, best location, value for money and good place to rest. I recommend this hotel. Loved my stay here. The property is very clean and the staff were great! 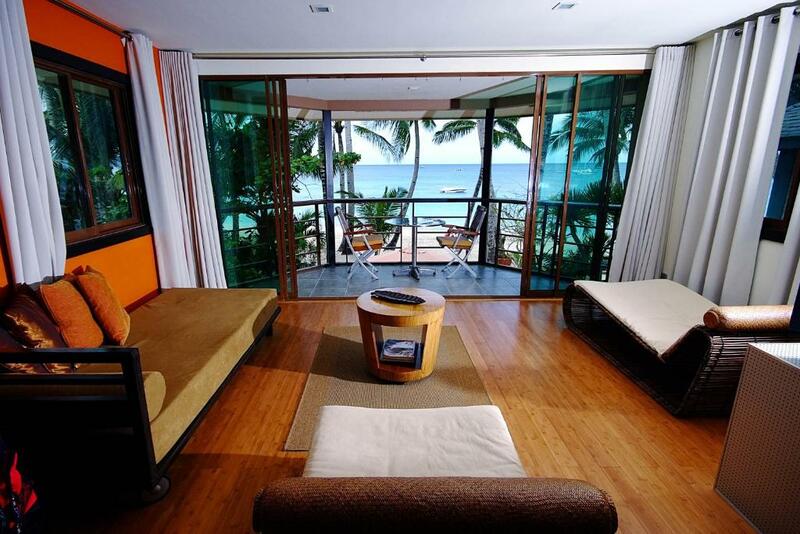 Stayed in MYROOM and the view of the beach was incredible. Property is far out of the way of the chaos in station 2&1, it was like having our own private beach and anyone that tried to use the sun beds were quickly removed. Would definitely stay here again! The beds and pillows were uncomfortably soft, which was the only low point of our stay. A change of mattresses and pillows will do much to enhance the quality of our stay. Daily complimentary filtered or bottled water would be much appreciated too. 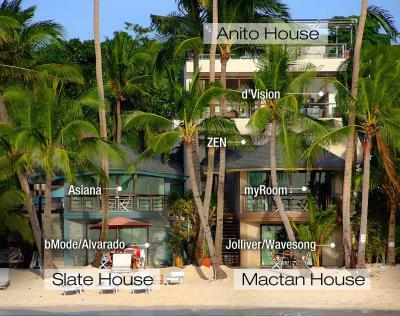 The location of Boracay Beach Houses is unparalleled. 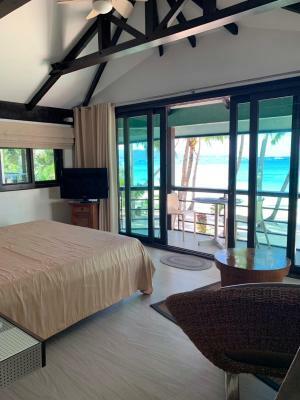 All the rooms face a quiet, perfect beach off Station 3, and the frontage is almost like a private beach area, which is a rarity in touristy Boracay. The breakfast on the beachfront was great, we always felt secure as there was always a member of staff/ security at the front of the property even at night. 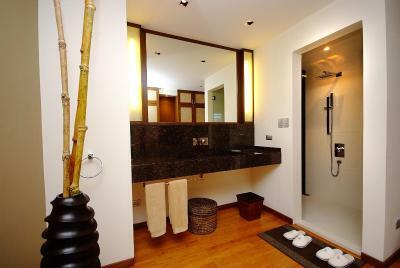 The rooms were modern and clean, and the bathroom had a fantastic shower. Many dining and drinking options just a few minutes walk away too, including the amazing Yasuragi Japanese spa and restaurant.